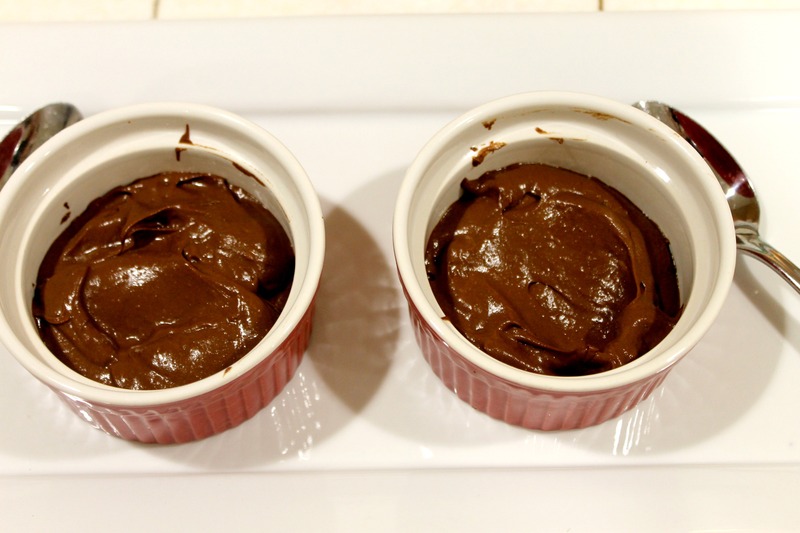 About a year ago I first posted about chocolate avocado pudding. It was a regular in my healthy dessert rotation for a couple of months and then I somehow forgot about it. I decided it was high time to make it again, only this time I took it up a notch and made Chocolate Peanut Butter Avocado Pudding. Since I have a large jar of Dark Chocolate Dreams peanut butter from Peanut Butter and Co., I decided to incorporate the dark chocolate PB into the pudding instead of just eating it straight from the jar (not that there’s anything wrong with that). 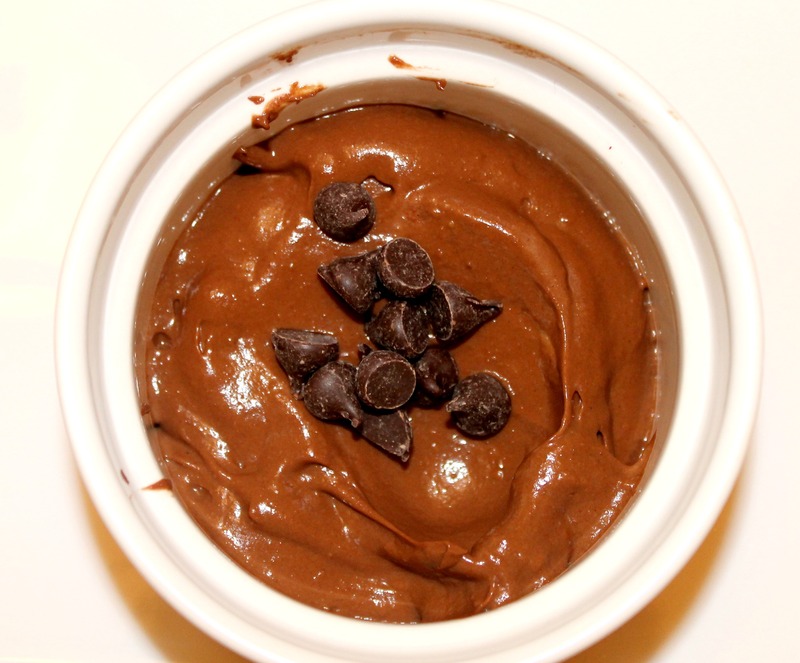 In addition to the Dark Chocolate Dreams PB, this avocado pudding has unsweetened cocoa powder, Canadian maple syrup, and light coconut milk. 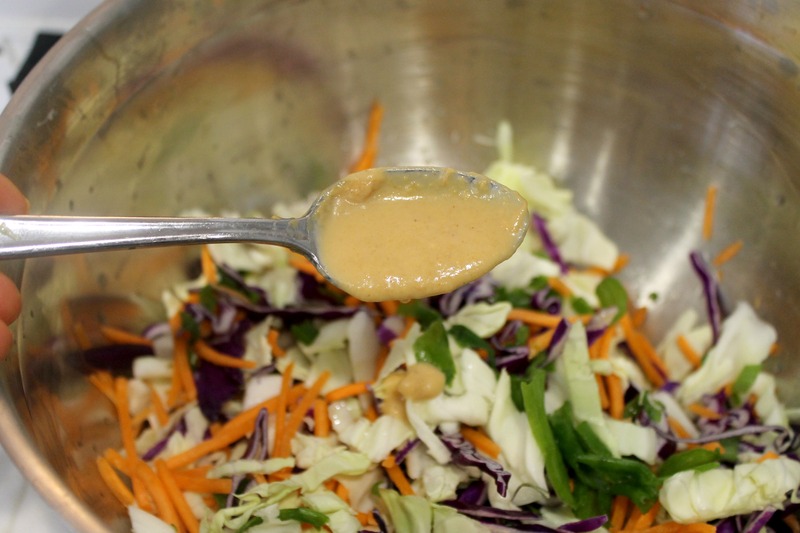 A very simple recipe that’s also quite tasty and loaded with healthy fats. This pudding is the perfect thing to whip up when you are craving something sweet, but not too sweet. You can use regular peanut butter or almond butter in place of the Dark Chocolate Dreams, but I really think the dark chocolate pb takes it up a notch. And like I said in my other recipe, you cannot taste the avocado! Super pinky promise. Cut up your avocado and place in the food processor and begin to pulse. Add your coconut milk, maple syrup, cocoa powder, salt and dark chocolate peanut butter and continue to mix until well blended. Scoop into small dishes and place in the fridge for a couple of hours so the pudding can firm up. Garnish with chocolate chips if you so choose! I noticed by adding the peanut butter it gave the pudding a thicker texture than my previous version. 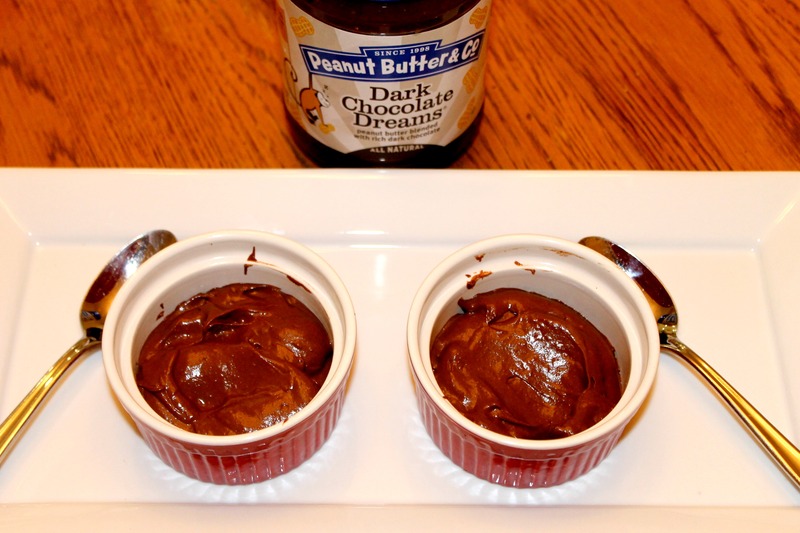 If you don’t want your pudding too thick, use just 1 tbsp of pb or use 1 cup of light coconut milk. 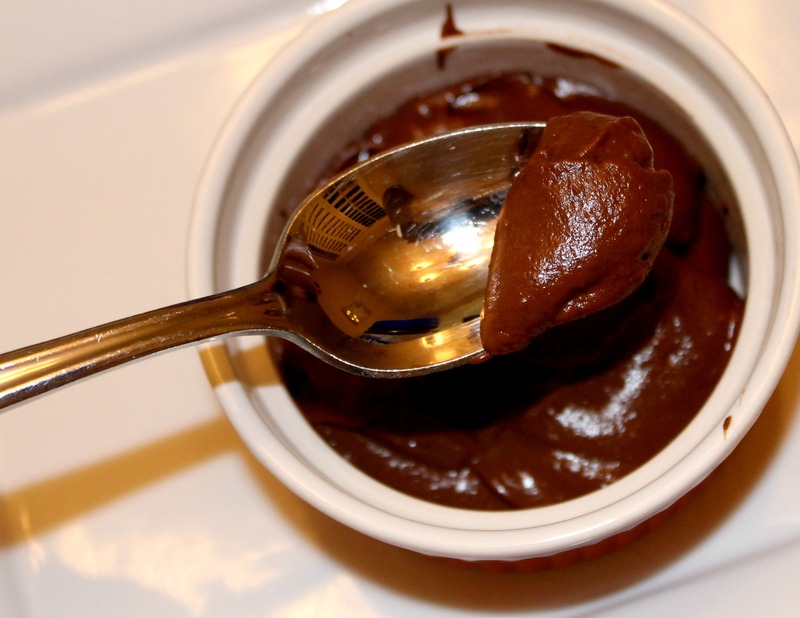 What’s your favorite pudding recipe? 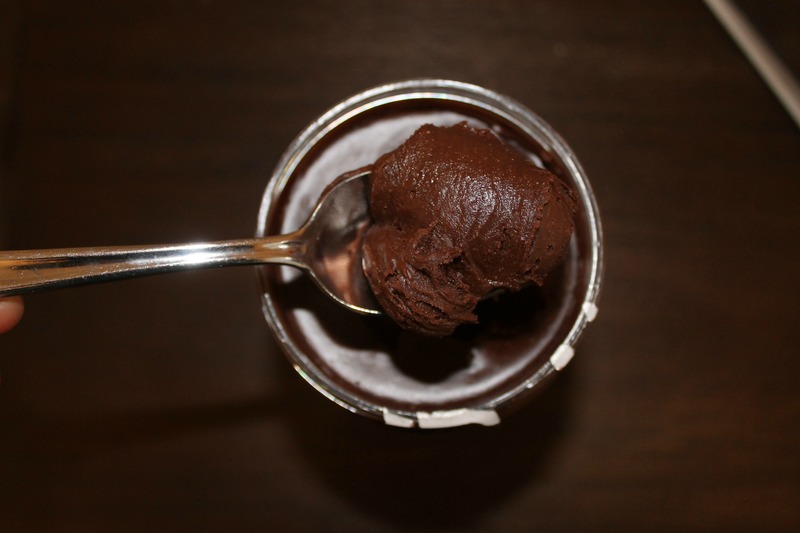 This entry was posted in Dessert, Gluten-Free, Good Eats and tagged chocolate avocado pudding, gluten free, vegan on February 19, 2014 by allie@sweetpotatobites. I KNOW. It’s more pumpkin. What can I say? I’m addicted and rolling with it all through fall. Fortunately pumpkin is full of good things like beta-carotene, fiber and vitamin K, which is all the more reason to enjoy this vegetable in all sorts of forms. 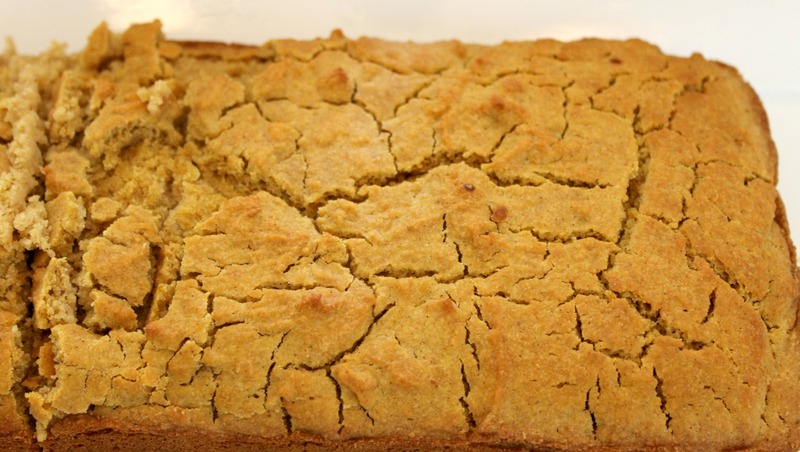 Lately my new favorite way to enjoy pumpkin is in the form of pumpkin beer bread. 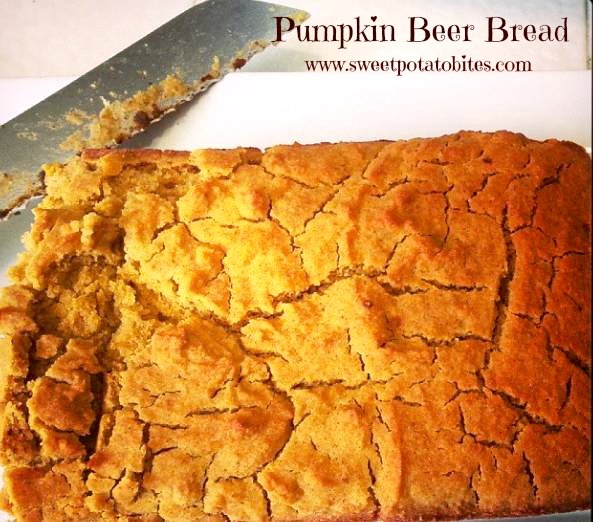 I made pumpkin beer bread a couple of years ago using Smuttynose Pumpkin Beer, and this time around I wanted to make the beer bread using canned pumpkin. I ended up using a German wheat beer since it was what we had on hand and I didn’t have time to get a proper pumpkin ale. I also decided to use sorghum and brown rice flour instead of all-purpose. With all these little tweaks, I honestly wasn’t quite sure how this bread would turn out, but it came out delicious! You can definitely taste the beer in this bread, so if you want to reduce that beer taste I recommend using a little more sugar or reducing the amount of beer. 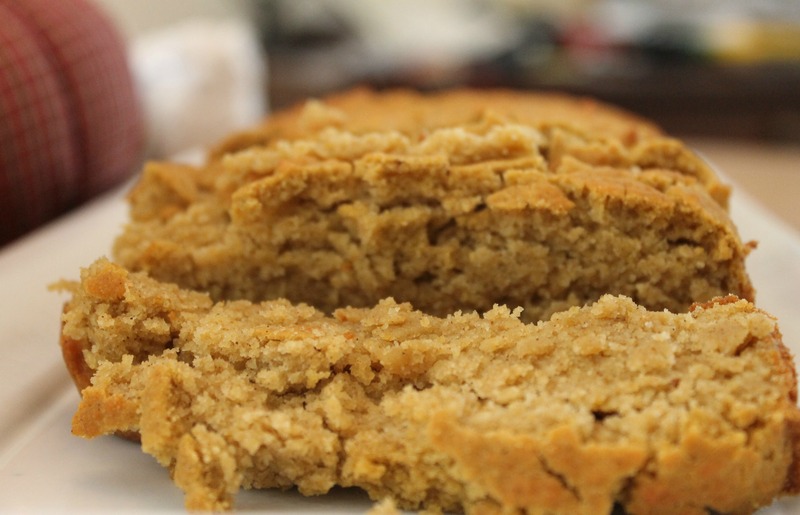 This bread is ridiculously easy to make and was promptly devoured in a matter of days. Let the pumpkin obsession reign supreme! Preheat your oven to 350F. In a large mixing bowl combine your flours, salt, cinnamon and baking powder. 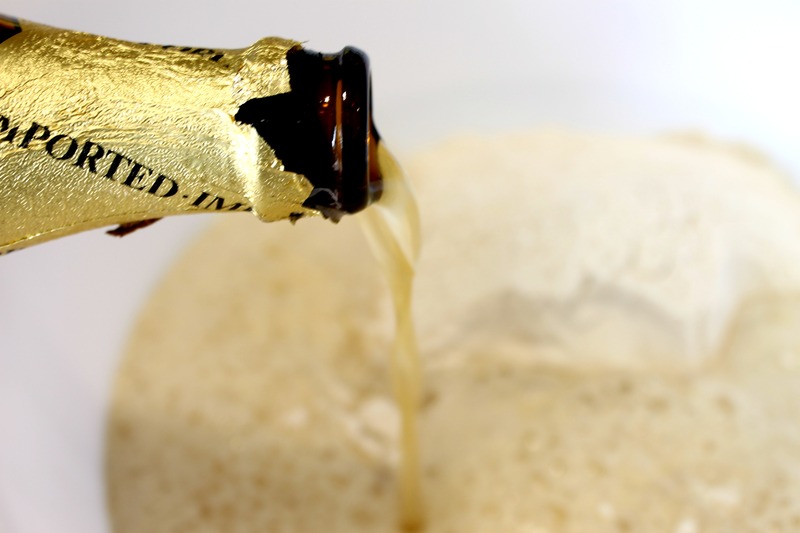 Slowly pour your beer into the flour mixture and blend well. Add your pumpkin, maple syrup and coconut oil and continue to mix until well combined. Pour your bread mixture into a loaf pan and bake for 50-60 minutes. The bread should turn a nice golden color when it’s done. I definitely want to try this bread again with a pumpkin beer. I’ve heard Dogfish Head’s Punkin’ Ale is quite delicious, but are there any other pumpkin beers I should try? It’s been far too long since I’ve dined at True Food Kitchen, and even longer since I have written about it. I was recently invited to try the new fall menu at True Food Kitchen, and I invited my two favorite bloggers to join me for a girls night out. We decided to order a bunch of different plates and share amongst the table which always makes it more fun. The first item was the newest item to hit the fall menu: the Inside Out Quinoa Burger which has the quinoa patty as the “bun” and the “burger” part is filled with hummus, avocado, feta, tomato and onion. I wasn’t sure what to expect with the quinoa burger but it was delicious! I really liked the idea of using quinoa as the bun instead of a traditional roll. And this burger is gluten-free and vegan which is great for those with dietary restrictions. My favorite sweet potato hash and kale salad also came on the side. 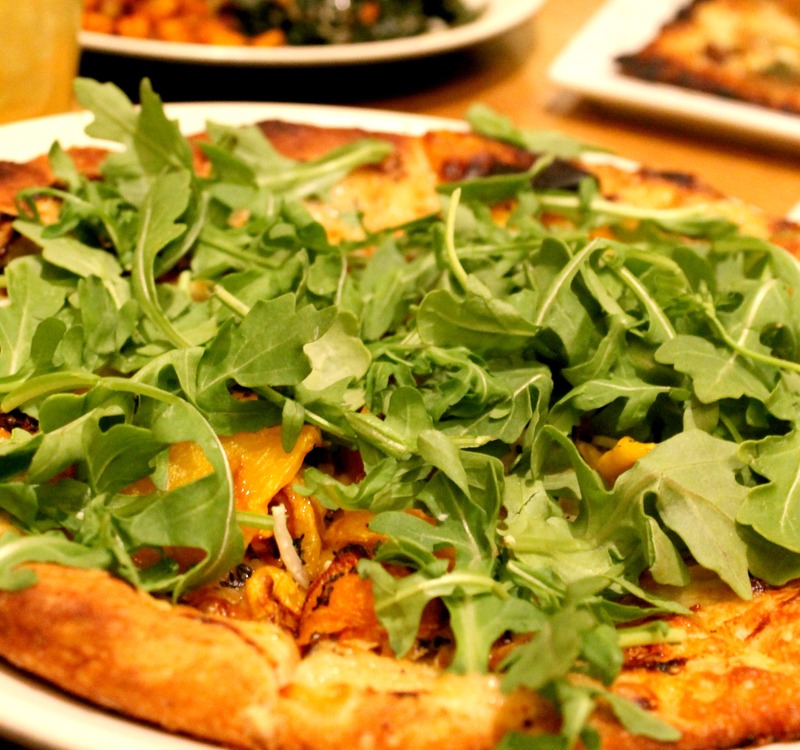 Next up was the Butternut Squash Pizza which came with smoked Mozzarella, caramelized onion and arugula. It also normally comes with walnuts but I asked for those to be omitted since I am allergic. I love fall root vegetables and this pizza was divine. There is just something amazing about the smoky cheese paired with the sweet squash and caramelized onion. I could’ve eaten the entire pizza myself but I decided to be kind and share. 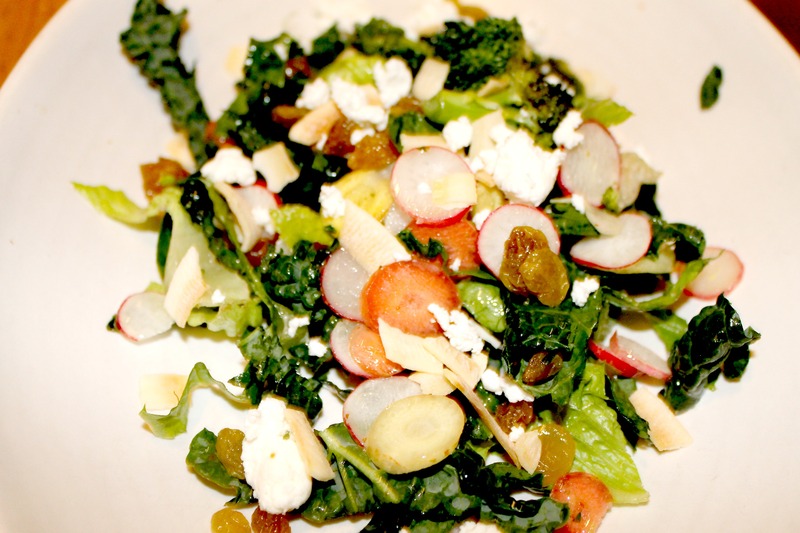 True Food Kitchen also recently introduced a myriad of fall salads to their menu, so we decided to try the Farm Chopped which came with roasted broccoli, thinly sliced root vegetables, almonds, sultanas, coconut, goat cheese and kale with a herb vinaigrette on the side. I personally liked this salad, but I can see how the coconut and the sultanas might make it a bit off-putting. 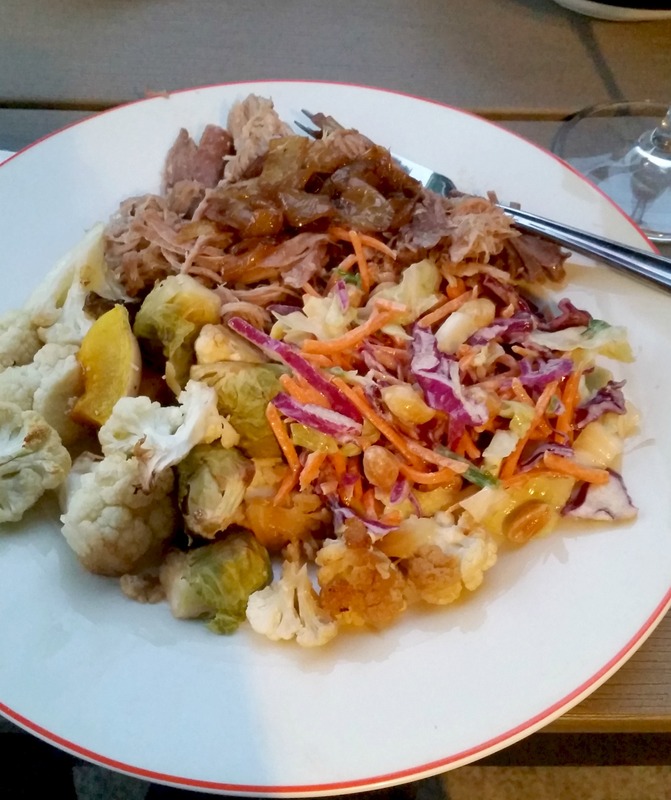 It was bordering on the line of too sweet, but overall the flavors complemented each other nicely. This is definitely something I will try to recreate at home. The Caramelized Onion Tart is a year-round offering at True Food, but since it is so good I just knew we had to order one for the table. 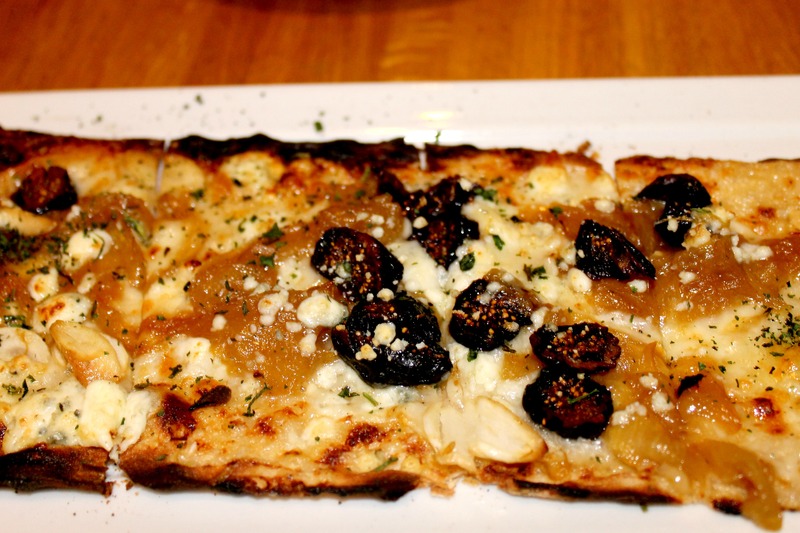 Topped with caramelized onion, black figs and gorgonzola, this tart masters the art of sweet and savory perfectly. There’s a reason this is on the menu year round. No trip to True Food Kitchen is complete without some of their delicious desserts, so we ordered two of my favorites: Squash Pie with Coconut Whipped Cream and Lemon-Ginger Frozen Yogurt. I actually first tried the squash pie at the media dinner I attended last year and loved it. 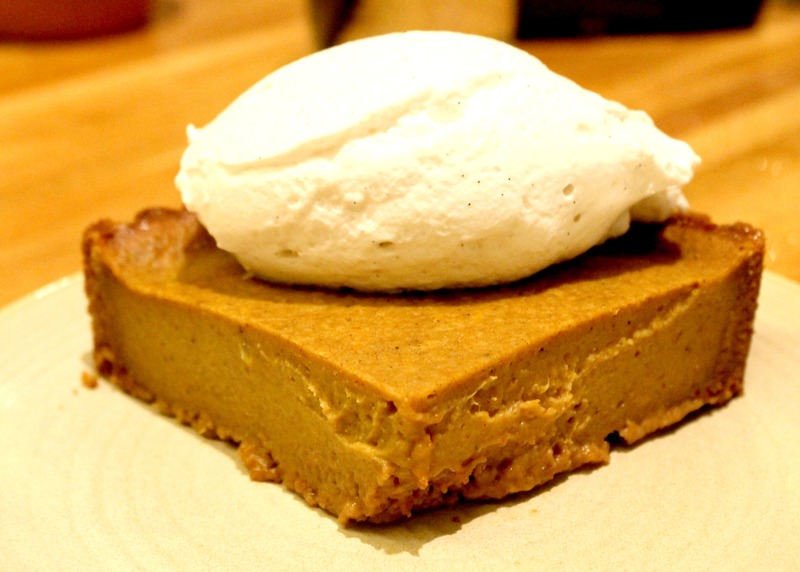 It tastes almost exactly like pumpkin pie and is dairy-free and vegan. True Food also sells whole squash pies for the holidays, so be sure to get your order in now. 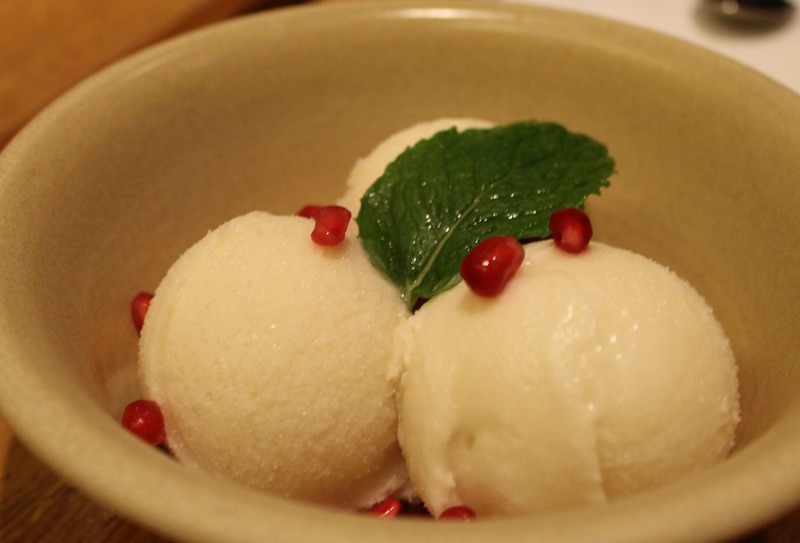 The lemon ginger frozen yogurt was the perfect palette cleanser. It was nice and light, and the lemon and ginger complemented each other perfectly. I often drink lemon ginger herbal tea at home, so I knew this flavor combination would be good. 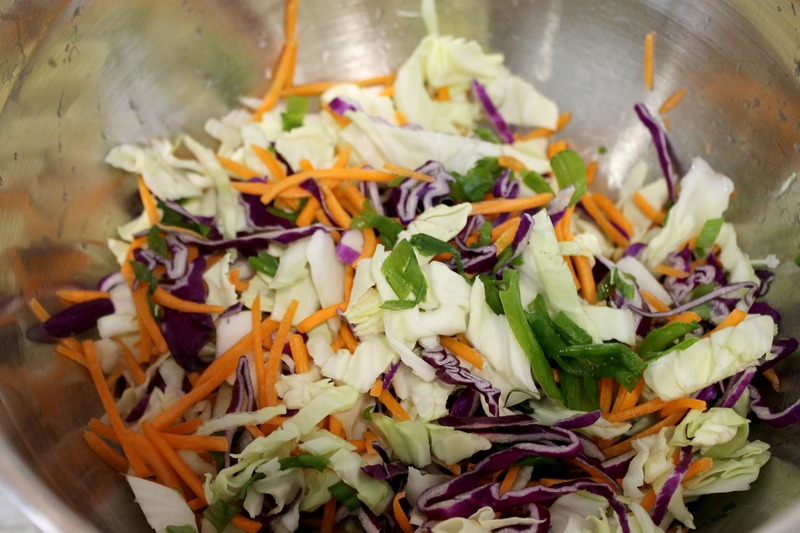 So that’s just a snippet of what you can expect from the new fall menu at True Food Kitchen. I highly recommend checking out the inside out quinoa burger and the butternut squash pizza if you get a chance. And of course, save room for some squash pie. Thanks True Food for inviting me and thanks to Sam and Karla for being such fabulous dinner dates! 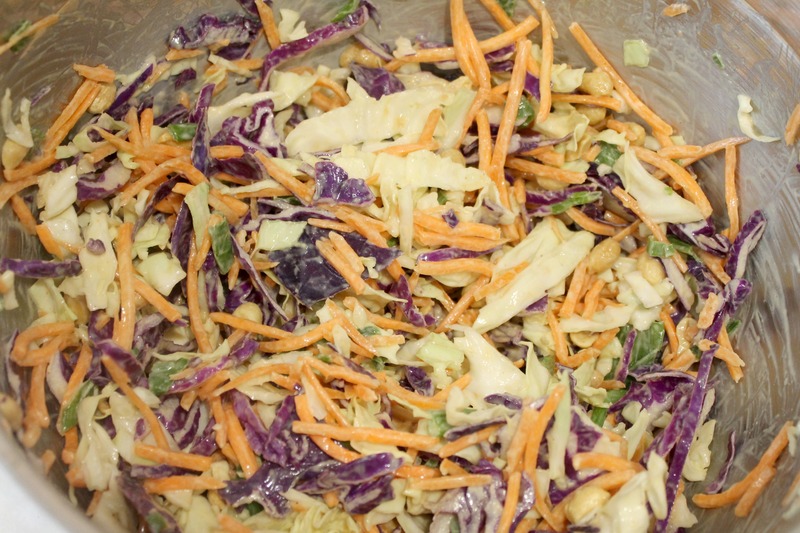 This entry was posted in Best Of, Dinner, Good Eats, Healthy, Orange County and tagged fall, True Food Kitchen, vegan on October 14, 2013 by allie@sweetpotatobites.